William Elliott A Life with Blindness: 'Blindside Fresno' Airing Tonight! The news that 'Blindside Fresno' will be airing at 9pm PDT tonight, July5, 2016 came as a great shock to me. Catching me by surprise. 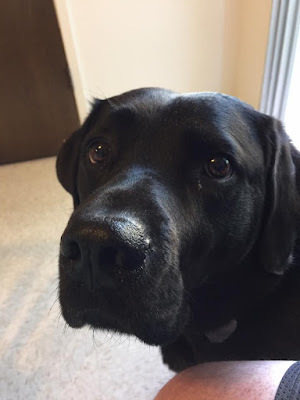 I know that I promised to let you all know well in advance, so I feel that in some ways I have let you down . But the good news is that the first showing will not be the only showing. I have up loaded a copy of the first program to my YouTube channel to publish after the first showing by CMAC, also CMAC will be publishing the show on a dedicated page on the studio website as well as their YouTube channel over the coming few days. 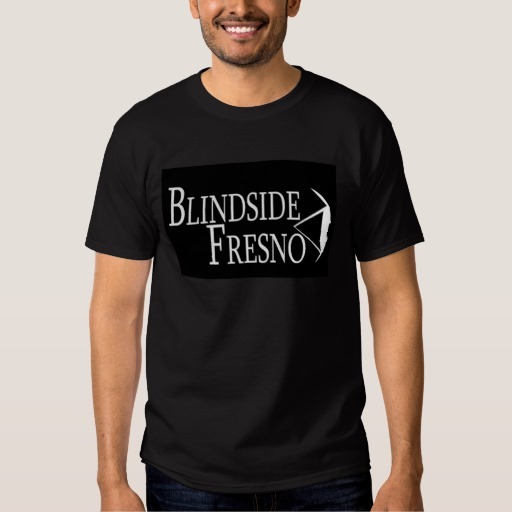 The 'Blindside Fresno' Supporters T-shirt. is now available from our Zazzle.com store. Made of high quality material the shirt will last for many seasons. The printing is clear and will withstand washing and all income from the profits of this shirt will be put to use in creating more programs in the 'Blindside Fresno' series thereby helping the Blind and visually impaired community as a whole with programming created for them by a visually impaired producer. In the meantime, if you live in the Fresno/Clovis metropolitan area and have access to Comcast channel 93 or AT&T channel 99 then you can watch live at 9pm PDT or over the web you can go to http:www.cmac.tv and look for the on now/ showing now tab for channel 1 and watch the show over the web as it is streamed. You will need to make allowance for the time zone difference so 9pm PDT is Midnight EDT or 5am BST etc. I will share details of the CMAC online on demand page and my YouTube page when those become available, probably later tomorrow.